Did you know Sonoma County has much more to offer than wine? If you love gaming and entertainment, you'll enjoy visiting the brand new Grafton Resort and Casino just a short ride from our Healdsburg hotel. Opened just a few years ago, Grafton Resort and Casino offers hours of fun from gaming to live entertainment. Try your luck on more than 3,000 slot machines or play your favorite games at more than 140 gaming tables. 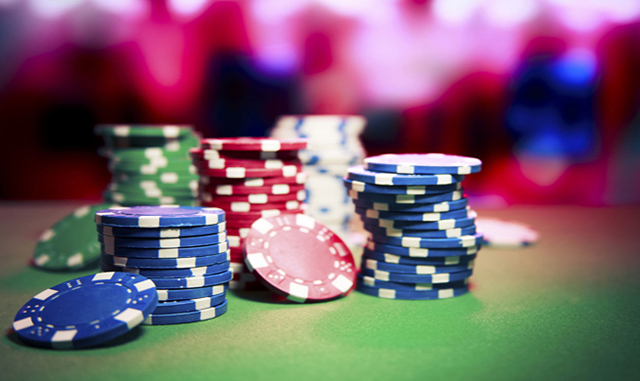 You'll find everything from Baccarat, Blackjack and Pai Gow Poker to Ultimate Texas Hold'em. If you really love to play cards, don't miss the Live Poker Room! Check the entertainment calendar because there are live events every night of the week. You can see the biggest names in show business like Willie Nelson or catch fun local bands as they heat up the stage at Grafton Casino's entertainment venues like 630 Park Steakhouse, G Bar, and Sky. Take a look at the calendar to see what's coming up in 2018. Whether you are looking for a fun night out in Healdsburg or just want to catch a live show, Grafton Resort and Casino is a good choice in Sonoma Wine Country. Located about 15 minutes from our hotel, this fun destination is easy to reach when you stay at Dry Creek Inn. Our hotel makes an ideal winter getaway with a sauna and steam rooms as well pet-friendly rooms and free wine tastings and Continental Breakfast. Find out more about our wine country hotel amenities in Healdsburg.